Important: Information entered during registration is only saved within your account once registration is completed. If you exit the process before completing registration, you will need to restart from the barcode entry step. Before you submit your sample, you will need to register your saliva collection tube into a 23andMe account. 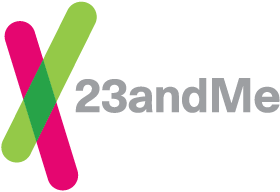 In order to register, you will need to either create a new account or log in to an existing 23andMe account. Although you enter an email address when placing an order in the 23andMe store, placing an order does not create an account. If you are creating a new account, you will be required to confirm your email address before you can proceed with registering your collection tube. To begin registration, navigate to https://www.23andme.com/start. The 14-digit barcode is located on the side of the collection tube included in your kit. You can enter your barcode number either with or without the dashes. If you mailed your sample before completing the registration process, you will be able to register your sample once it arrives at the lab. When your sample is received at the lab, an email titled "Action Required" will be sent to the email address provided when your order was placed. This email will contain the barcode from your collection tube, which you can then use to register online. Processing will not begin until registration is completed. In most instances, the individual registering should select "I will be using this kit." You should only select the other option if you will be registering on behalf of someone else, such as a child under 13 who cannot have his or her own account. When registering a kit, you will be prompted to review and agree to the Terms of Service and make your consent selections for Research (select customers only) and Sample Storage. You will have the option to review your selections at the end of the process before your registration is finalized. You are required to accept the Terms of Service in order to use 23andMe. After accepting the Terms of Service, you will be prompted to review and agree to the Consent to the Use and Transfer of Sensitive Information document. By agreeing, you consent to allow 23andMe and its contracted laboratory to process and analyze your saliva sample and Genetic Information and provide you with results through the Personal Genetic Service. You will also be presented with the option to accept or decline participation in 23andMe Research. You may change your research consent choice at any time from within your 23andMe account. In order to activate the consent selection buttons, you must select whether you are consenting for yourself or on behalf of another individual. If you choose to participate in Research, you will also see an opt in for Research Opportunities Based on Your Unreported Genetics. By opting in, you are allowing us to contact you about potential research opportunities based on DNA variants that have not been reported to you. You have the option to store your sample at the lab. If you choose to have your sample stored, you may later request that it be destroyed; however, if you choose not to store your sample this cannot be changed. You will have the option to store any future saliva samples you provide to 23andMe. Review all the information you have provided during registration, and confirm that the barcode and profile name listed on the review page are correct. You must click the Complete Registration button in order for your registration to be completed. Once you have completed the registration process, you will receive a confirmation email at your account email address. After registration, you can provide your sample and track the status of your kit from your profile homepage. Has my sample reached the lab?